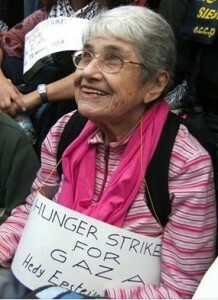 It is very sad to hear that Hedy Epstein died on May 26th at the age of 91. She was a holocaust survivor, a social activist in the US for reproductive rights for women, for civil rights, & for Palestinian solidarity. We should take a moment to pay tribute to her life & political contributions to humanity. May she RIP.